Technology is increasingly becoming an integral part of the way in which construction services are executed and delivered. Mobile computing and mobile applications are playing a major role in the way projects are being planned, designed, and built. Regardless of size and scope projects must be efficiently managed in order to meet schedule demands and minimize cost overruns that negatively impact the construction budget and bleed away project profitability. In addition information amongst project team members and stakeholders needs to be transmitted in a manner that leads to accurate and timely decision making. Mobile computing is quickly becoming a valuable tool for construction project management. 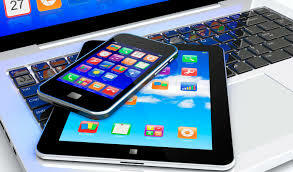 The utilization of mobile computing has evolved from the laptop to the smartphone and tablet, which has created the ability for all project team members to leverage mobile computing for greater productivity and collaboration activities. Mobile computing innovations have created a number of efficiencies for the construction industry. Not too long ago it would take days or even weeks in some cases to set-up and mobilize a construction project work site with telephone and internet services. Now with the use of mobile computing, job site set-ups can happen quickly and do not require construction trailers in order to initialize telephone and internet services. In addition to speed, mobile solutions can be created for small projects and scaled to meet the connectivity requirements for large and remotely located projects with increasing effectiveness. The entire concept and practice of project management has also seen improvements through the utilization of mobile computing. The tablet is quickly becoming the “go to” tool for worksite management and collaboration. Project team members in the office and field can create and share drawings, documents, contracts, specifications, and other vital project components in real time. The tablet and smartphone are creating layers of connectivity between the office and field which help to keep all project team members in the loop. Mobile computing has also allowed for all project team members to have access to the most up to date information through the usage of integrated “cloud” data storage systems and programs. Another critical element of mobile technology for construction is photography and video. Mobile computing increases the ability for remote team members to collaborate, but with video and photography, it can also be an integral part of asset tracking and site surveillance. Through the use of video surveillance technology, project team members can access views of the job to check progress as well as detect any unauthorized or suspicious activity. Most construction sites have supplies, tools, vehicles, and other essentials in constant use, and in need of monitoring and tracking. Asset tracking apps downloaded to a mobile device not only help manage the machinery, but when combined with radio frequency identification (RFID) tags, can help reduce inventory shrinkage and waste. To ensure a construction project captures efficiency through the use of mobile technology, the best guidance is to provide training that equips all team members with the understanding and competence needed to operate all aspects of the selected mobile technology platform. Every user needs to understand the business case for mobile computing adoption and the organizational and project management goals associated with its utilization. The more people know the better they can execute the plan and vision for how the technology will be deployed and ultimately utilized to drive project productivity and efficiency.